Remember how I’m super in love with quick lunches like pizza bread? Well, I just upped the game, you guys. You know that fabulous Barbecue Chicken Pizza that you can get from the local pizza shop? It’s full of chicken, barbecue sauce, bacon, and onions? Yeah. I love it, too. Of course, the first time I had it was a complete accident. My husband and I were on our “honeymoon” (a local hotel…we had a new baby and not a whole lotta money) and ordered a late night pizza, because we had been up very late doing very important married things like calling each other Mr. and Mrs. while giggling. (Minds out of the gutter, people.) The delivery driver brought us a barbecue chicken pizza by mistake and we were totally weirded out. He came back with our standard pepperoni pizza, but we both fell in love with the barbecue chicken pizza while we were waiting for our correct order to arrive. 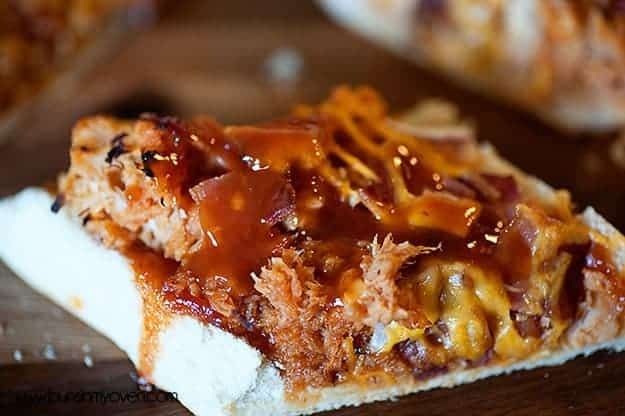 Anyway, I’m all about easy, homemade pizzas (Hello, Carnitas Pizza and Buffalo Chicken Pizza), but I thought it would be fun to do another pizza bread recipe, this time with a barbecue twist! My daughter hates barbecue sauce, so she thought this was a horrible idea. Then again, she puts Tostitos chips inside her peanut butter and jelly, so what does she know? The rest of the family? We gobbled this bread right down. It was perfect for a quick lunch, especially if you serve it with a simple salad. 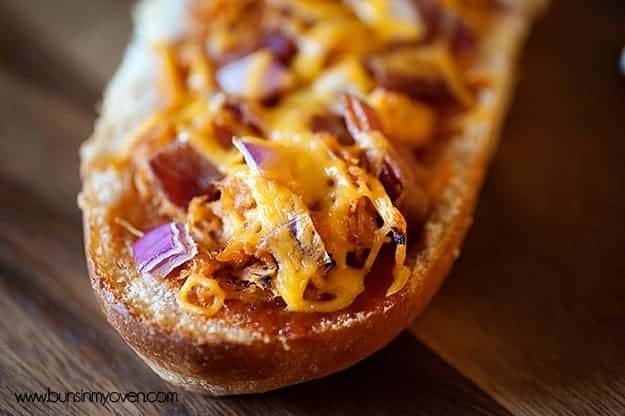 This Barbecue Chicken Bread makes for a fun and flavorful dinner or lunch. It's easier than a barbecue chicken pizza, but has all the same fun flavors! Slice the loaf of bread in half, lengthwise. Spread 1/4 cup of barbecue sauce over each piece of the bread. In a medium skillet over medium heat, heat together the chicken and remaining 1/2 cup of barbecue sauce until warmed through and the chicken is thoroughly coated in sauce. Spread the barbecue chicken evenly over the bread. Top with the bacon, onion, and cheddar cheese. Bake for 15 minutes or until heated through and the cheese has melted. Cut each slice of bread into fourths. 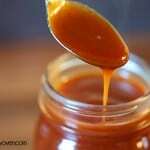 Serve hot, with extra barbecue sauce if desired. I am not a huge BBQ sauce person either, but I could definitely make an exception in this case. Seriously though – I know my husband would love this, so I gotta give this a try sometime! Looks so good!!! 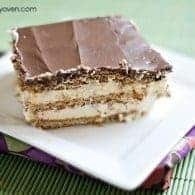 Loving this recipe and I can’t wait to try it! I am not a big fan of sauces on meat too. Sometime I make my own because then I can change the tangy, sweet and salty. This is such a single girl dinner, which fit me nicely. 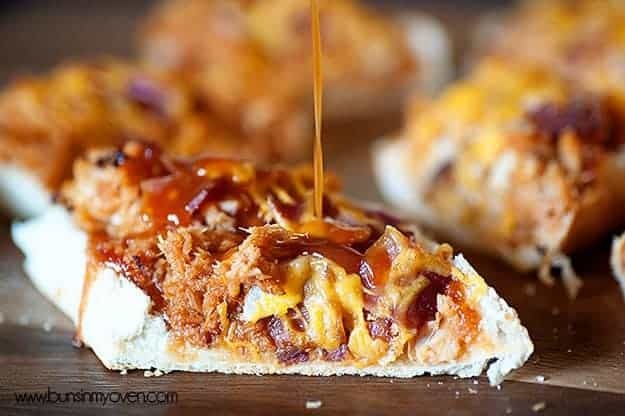 We love BBQ chicken pizzas. 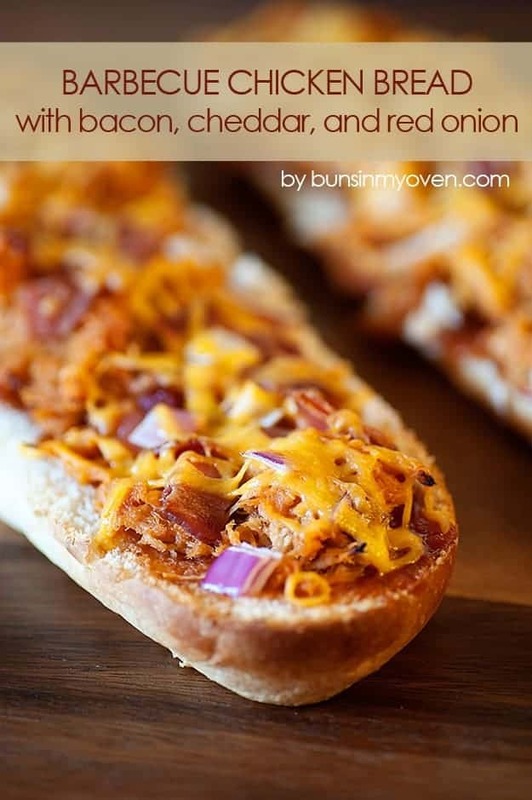 But I love that you put it on french bread…what a fun and quick dinner idea!!! Holy BBQ Chicken.. LOVE THIS!! 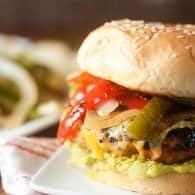 My husband is not a barbecue fan either but I would totally devour this and maybe share it with the kids! Oh my LAWD have mercy, this looks delicious. This looks delicious! All great flavors my family loves! This is happening. At my house. Soon. Whaaaat. Yea, my husband would definitely marry me all over again if I made him this! Amazing, Karly! Karly, see, THIS is the problem with reading food blogs in the afternoon when I’ve got a pound of ground beef thawing for dinner and no real firm plans for it. I was reading Perfect Pantry’s meatball post and thinking “yeah, I’ll make meatballs with it”, and now I’m reading this and thinking “yeah, I’ll make a French bread pizza with it” . . . botheration. Do you ever tell your spouse you want a “real” honeymoon? I do. I never got a honeymoon–I don’t think billeting counts as we didn’t ‘go away’ after we got married. We’d arrived in town that morning, found the JoP, got married–but we stopped by Subway on the way back to our room instead of delivery (probably because we had no idea who delivered what or where we were). How does she not like BBQ sauce?!?! Okay that’s kind of like my oldest not liking mashed potatoes. What is wrong with these kids? Whatever… more yumminess for us 🙂 This is perfect! BBQ pizza is best! Here’s hoping your daughter comes around to its brilliance 🙂 This looks perfect for a light, weeknight dinner. Wow! This looks like a winner. Thank you so much for your great ideas!! I must make this!! It’s looks amazing! My kids don’t like BBQ either..weird, yes. 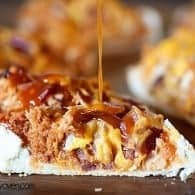 Love barbecue chicken pizza! Can’t wait to try this! Perfect for a quick weeknight meal! This looks delicious! Each and every ingredient is a favorite. I am going to pin this post. 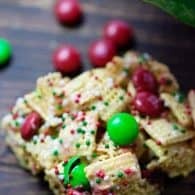 I make a very similar version of this recipe for my family and we LOVE it! Such a fabulous weeknight dinner idea! Eek! Yes! I’ll update the recipe to fix that! Thanks! I thought it should be cooked, but recipes can be odd sometimes! We make our own version of a pulled pork pizza, but I like the simplicity of yours. Have you tried adding pineapple? It takes it to a whole other level! Also, we like to put our coleslaw recipe on top of it! 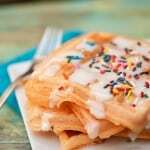 It sounds crazy, but others have tried it and think its YUMMY!